I think we are doing it right. My first attempt playing Victory in Europe. 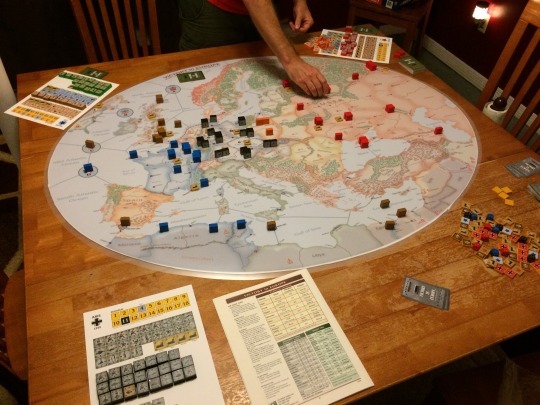 The newest Columbia games block game covering the European theater of WWII. A friend of mine has a printed map (150% the original size.) It was a joy to play!